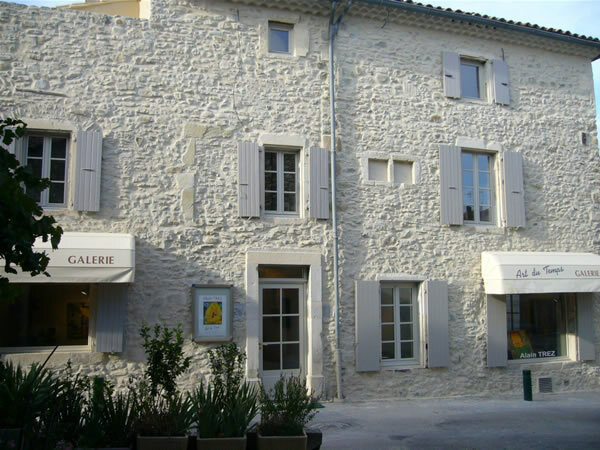 Situated in Cléon d’Andran, small village in the Drôme region of Provence, the Art du Temps Gallery welcomes visitors in a centuries old stone house. Focused on contemporary art, the Gallery promotes French and foreign artists, internationally renowned or emerging talents, over the long-term. Mindful to defend these artists in their creativity and in spreading their art, the Gallery organizes personal exhibitions enabling visitors to discover new artists or recent works by previously exhibited artists, every seven or eight weeks. Works are held by the Gallery on a permanent basis and exhibited on a recurring rotating basis on the first floor.